Without too much of my usual irreverent introduction to a post where I detail the history, cultural significance, and general fountains of esoteric knowledge about Sandwiches, I feel it appropriate to get right into the reviews on this one after one quick note... Toronto's best Sandwiches might be of the veal variety. I'll leave you to chew the fat on that one. Like most of the Italian Sandwich shops (though based on age, California may have been the first) its comes with the choice of Sweet, Medium or Hot Peppers. To quote the website: "Sweet means no hot peppers. Medium means a few hot peppers and hot means a good amount of hot peppers. You may also order extra hot if you like to sweat." Subtle Sandwich note: notice how the Veal is JUST larger than the Bun. This ensures an excellent good meat-bread-condiment ratio without bordering on the sublimely ridiculous. The Bread was very similar to previous entries in the veal challenge, a fresh crusty Italian roll. The bread provides sufficient crunch on the outside without being too structurally unwieldy as to force the contents of the Sandwich out towards the end of the Sandwich, a common grievance for Sandwich Eaters in-the-know. As well, for an extra Loonie, fried Mushrooms can (and should be done as seen below) as they add another layer of nutty taste and sharpness to an already stellar sandwich. The Veal was tender on the inside and had a bit of a crunch to it but I felt that it didn't have that contrast of crisp exterior and tender chewiness that I crave in a Veal Sandwich. California Sandwiches probably has the best Marinara sauce of the Toronto Veal Shops offering alternating flavors of sweetness and savory with a TINGE of smoke (Paprika?) which perfectly complimented the meat and heat from the peppers. 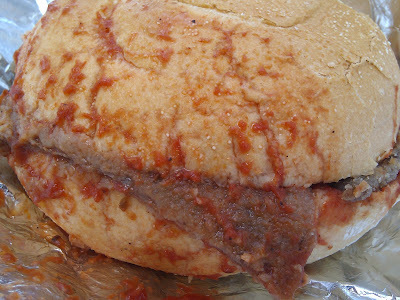 If you still want to eat Veal, but want it in Meatball form (Toothless Gus <3's Sandwiches as much as the next guy) , Calfornia's got you covered offering an awesome Veal Meatball Sandwich. Lacking the crispness of the fried cutlet, the Meatball offers a much mushier and messier Sandwich but one which still has lots of the great taste as described above. Judgement: 9/10 OPA (Claremont Location). My experiences have always been BY FAR the best at the Claremont location. I would rate the single Veal I had from the Dufferin location closer to the 8.5 OPA range with the Chesswood location barely registering 8/10 OPAs. San Francesco has been engaged in a bitter rivalry with California Sandwiches for Little Italy Sandwich supremacy since time immemorial (more likely the early 70's). The largely take out counter is expedient, full of interesting deli meats and seemingly ancient canned goods, and offers a short list of Sandwiches not unlike California's. I recall from my youth they are being several downtown locations. 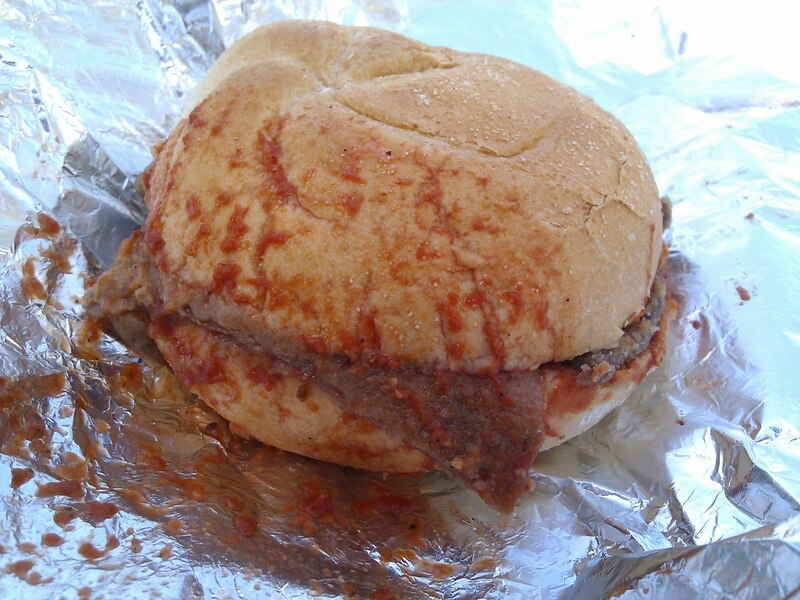 A quick google maps search suggests that they have locations in many of the same Italian-Canadian enclaves as California Sandwiches such as Finch and Dufferin, East York and Mississauga. The resulting veal gave the Sandwich a much chewier texture, forcing me to really wrestle with the Sandwich to enjoy its melange of flavors from the tangy marinara. The veal also tasted extremely fresh and had a much more prominent meaty flavor (perhaps the lack of breading allowed for more focus on the taste of the veal itself). medium pepper at San Francesco felt noticeably tamer than those at Vinny's or California. An interesting aspect of the Sandwich experience at the Clinton St location of San Francesco's is the lack of seating. Often many customers take their Sandwich next door to the classic Monarch tavern, a local haunt and former home of past reviewee' Caplansky's. Great place to get a pint to wash down the Sandwich with and apparently an equally great place to get into an intense conversation about prescription drug plans for the elderly (based on the one conversation I have had there with a regular last time I was here). While I understand while this Sandwich has a loyal fan-base amongst Toronto veal enthusiasts, for me it paled in comparison to nearby California's and did not come close to a fresh off the grill from Vinny's. While I enjoyed the flavor of the meat, I found the texture less appetizing then the more schnitzel-like version, coupled with a lack of spiciness and the sandwich:mouth difficulties, there was clearly a bunch to be left desired. The person I was with also found their Salami and Provolone to be inferior to that of N'ino D'aversa'. Next up I begin my lengthy perambulation through my nearly fatal NYC SANDWICH TOUR!!!!! Where to buy black walnuts? 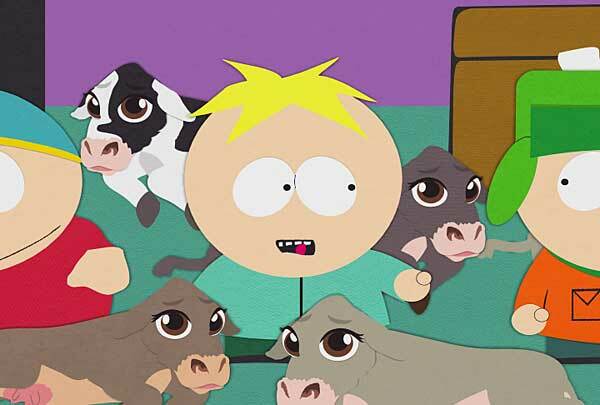 Are Hamburgers Fair Game for this blog? What is the essential Sandwich condiment? Sandwiches: a dish best served cold or hot ? How many Sandwiches is it appropriate to eat in one week?